It’s really quite simple. All you need is Photoshop and a Motion Graphics editing application. In photoshop, cut out the foreground elements from the background into separate layers. In this video I actually duplicate a few of the bubbles and scaled them up. So, the bubbles, the boy and the princess are all on separate layers. Then I pull the photoshop file into After Effects and made them all 3 dimensional alpha layers… yes, even the background. Then, I added a camera to the entire composition and had the camera make a slow zoom with a minor twist on the Z axis. 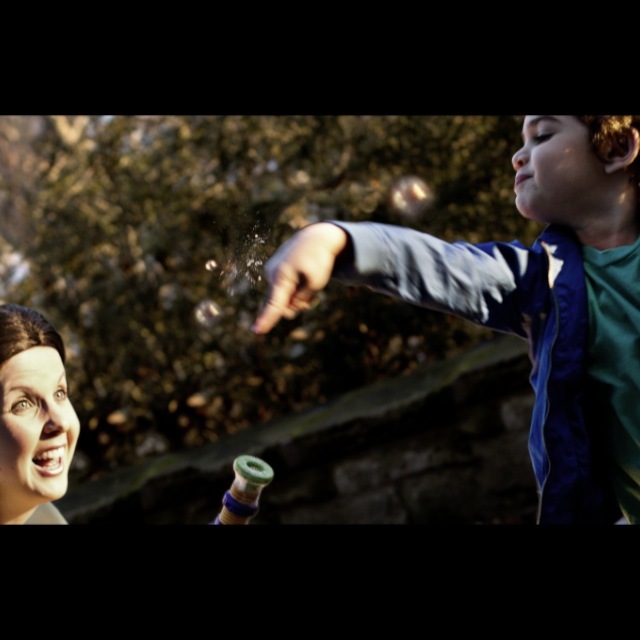 From there I made minor adjustments to the Y and Z axis of both the princess and the boy and finally pulled two bubbles forward in the camera to place them blurred in the foreground to make the image feel 3D. I find this extreme slow motion feel with the crispness of still images adds a heavy amount of drama to a moment. Perfect use would be in a quick promo or documentary when you cut away to old images. The entire project doesn’t take too long depending on your skill level. Enjoy the video and go make your own. Cheers!